The world’s premier motorsport series will intertwine with a variety of exciting performances and festivities for the entire family, evolving COTA into the ultimate American Sound Track for the race weekend. There will be numerous stages all over the track with live music throughout the day on both Saturday and Sunday, featuring performances by national acts and renowned local artists. The weekend festivities also include headline performances at the track. 11-time GRAMMY award winner Bruno Mars brings his 24K Magic World Tour to the Super Stage on Saturday night and international pop icon Britney Spears closes out the weekend’s celebration with an electrifying performance on Sunday evening. From the full F1 Experience to the newly added Star Coach Tours and General Admission ticketing options, a wide range of packages are available, starting at $189, to ensure three days of festivities and performances. Including access to both concerts and Friday’s practice sessions, Saturday’s practice and qualifying sessions, and Sunday’s Grand Prix, 3-days packages are available for purchase online. Wondering about parking about traffic? COTA has you covered with shuttle service throughout the weekend, in partnership with CapMetro, along with various parking options and free bicycle parking. 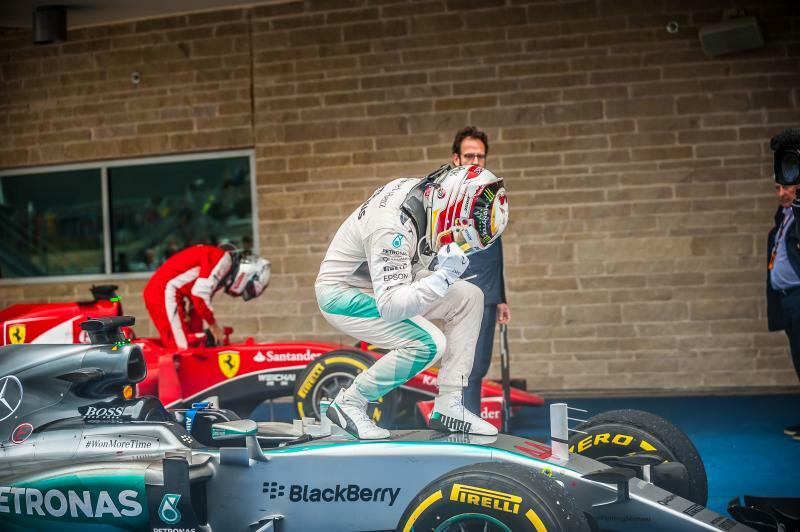 Share your best F1 snaps with us using #TrueAustin on Twitter and Instagram! Photos courtesy of Circuit of The Americas. Contributed by Louise Amsili, Austin Sports Commission Intern.